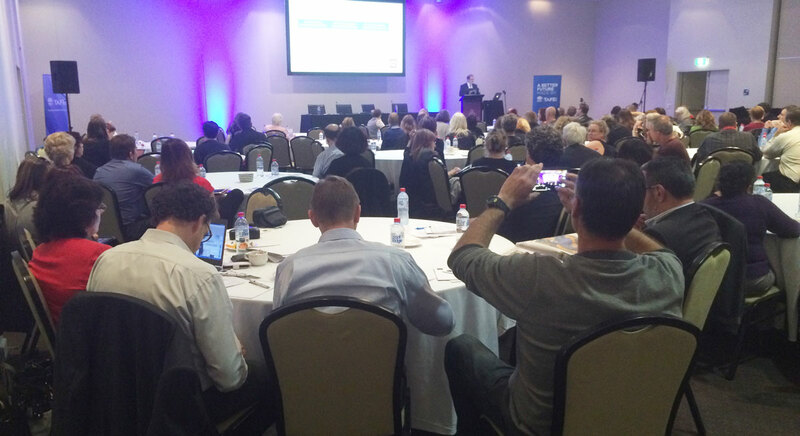 On Friday September 11, I had the pleasure of presenting to about 200 NSW TAFE Teachers their Engage 2015 conference in Wollongong on . This event focused on developing and delivering quality flexible and personalised online learning for Vocational Education and Training and Higher Education. I enjoyed sharing the stage with Professor Mike Keppell, Pro-Vice Chancellor Learning Transformations at Swinburne University. Professor Keppell defined personalised learning as …the knowledge, skills and attitude that enable learning and act as a catalyst to empower the learner to continue to learn. 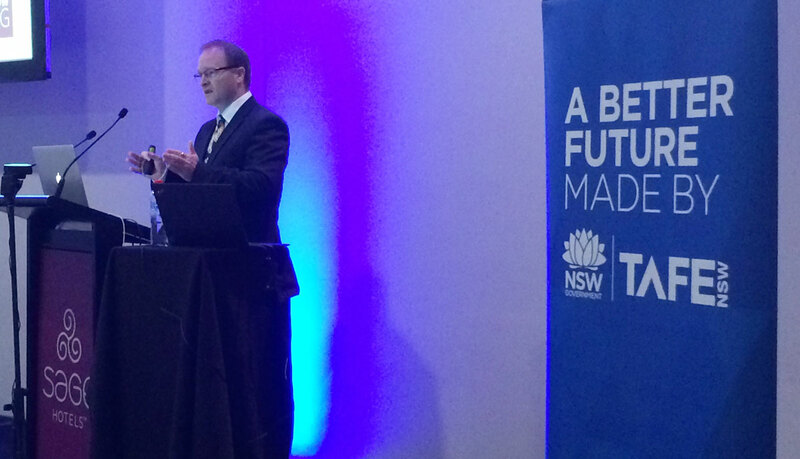 He outlined how modern technology is such an enabler for personalised learning. I was able to provide some examples of how technology can be used to enhance creativity in the learning and teaching process with a particular focus on Adobe Captivate and Adobe Presenter. There was also a lot of interest in the Adobe Education Exchange as a resources for sharing ideas and professional learning.